NEW DELHI: Prime Minister Narendra Modi inaugurated the Netaji Subhash Chandra Bose museum at Red Fort in Delhi to mark the occasion. He unveiled the plaque to inaugurate the Museum. The artefacts include wooden chair and sword used by the leader, medals, badges, uniforms and other artefacts related to the INA. 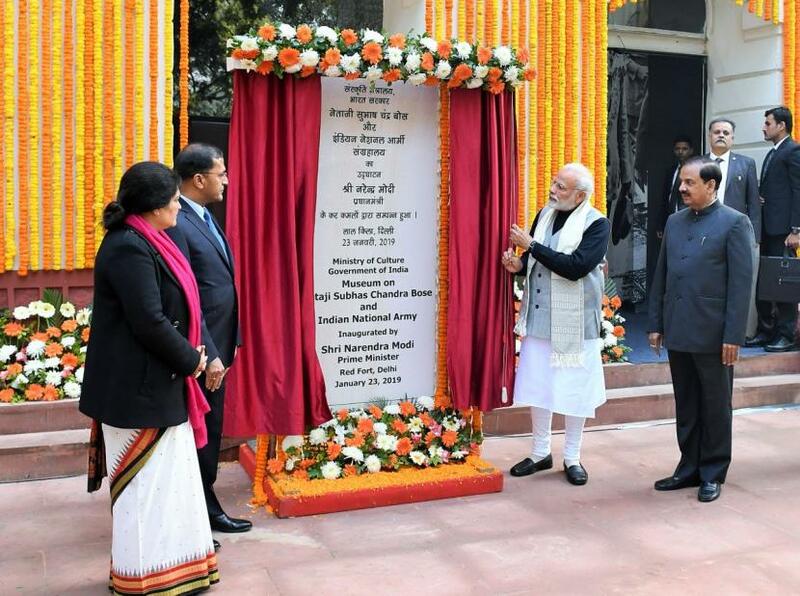 Modi had laid the Foundation stone of the museum during the celebrations of the 75th anniversary of Azad Hind Government in October last year. The museum also showcases the heroism, valour and sacrifices made by Indian soldiers during the World War-I. Modi also visited the Museum on 1857- India's first war of Independence. All these museums are located at the Red Fort. As a mark of respect to Netaji, the Centre has named Ross Island in the Anadman and Nicobar Islands as Netaji Subhas Chandra Bose Dweep. Hundred files related to Netaji have been declassified by the Government of India.